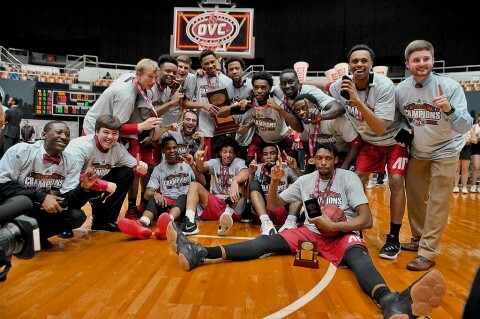 March 5, 2016 Archives - Clarksville Sports Network - Clarksville Tennessee's most trusted source for sports, including Austin Peay State University. 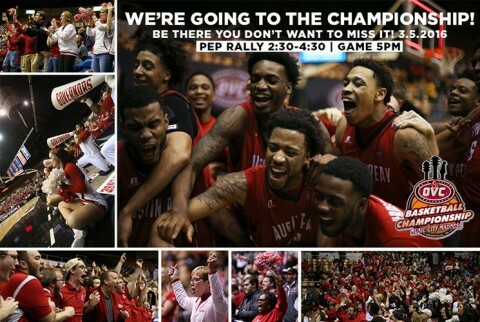 Nashville, TN – For the first time since 2008, Austin Peay State University is dancing towards the NCAA Tournament after hoisting its fifth Ohio Valley Conference Championship trophy. The Cinderella story adds another chapter following an 83-73 victory over UT Martin, Saturday, at Nashville’s Municipal Auditorium. On his 69th birthday, head coach Dave Loos and his team did the unthinkable – completing a miraculous four-day run to become the first no. 8 seed to ever be crowned OVC champs. 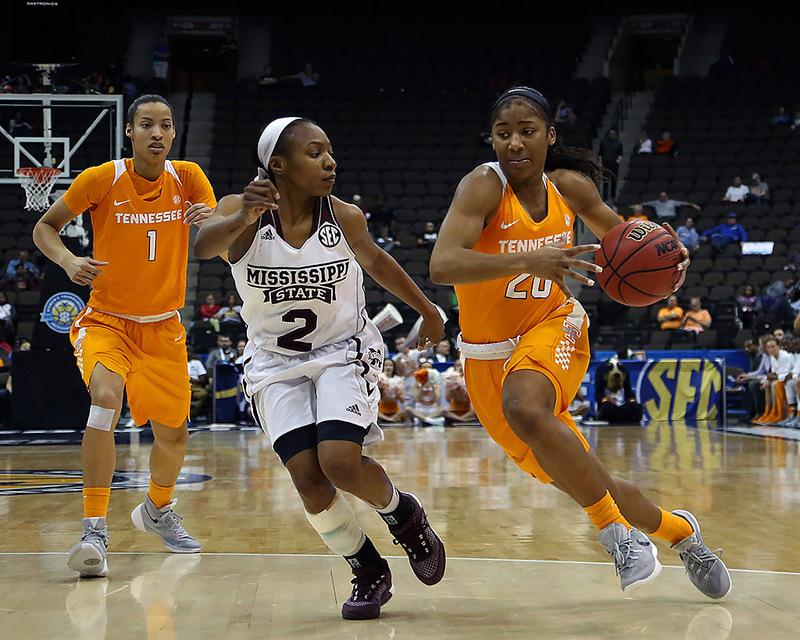 Jacksonville, FL – Tennessee’s SEC Tournament run came to an end on Saturday as the Lady Vols fell to No. 3 seed Mississippi State, 58-48, in the semifinals at Veterans Memorial Arena. Diamond DeShields paced the Lady Vols (19-13) with 22 points. Victoria Vivians scored 30 points to help No. 16/16 Mississippi State (26-6) punch its ticket to the title game of the conference tournament. The Bulldogs will face No. 1 seed South Carolina on Sunday at 2:30pm ET/1:30pm CT on ESPN. DeShields scored 14 of her 22 points in the second half and also grabbed five rebounds. Bashaara Graves collected a game-high 15 rebounds and scored five points. Jaime Nared added 12 points. 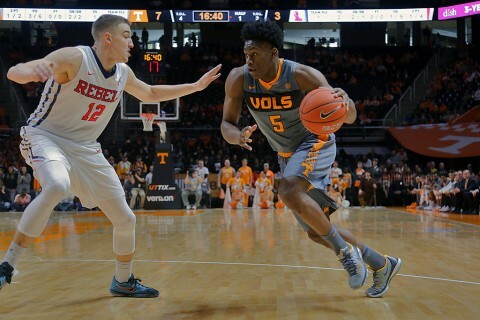 Knoxville, TN – Behind an array of 3-pointers and second-chance opportunities, the Ole Miss Rebels secured an 83-60 win over Tennessee on Senior Day in Thompson-Boling Arena Saturday. Tennessee (13-18, 6-12 SEC) dropped its fourth consecutive game for the first time this season, while the Rebels (20-11, 10-8 SEC) earned their fourth victory in the last five games. Senior Devon Baulkman shined in his final game in Thompson-Boling Arena, with a team-high 19 points on 6-of-12 shooting, leading the Vols in scoring for the second time this season. Fellow senior Armani Moore posted 13 points, while Admiral Schofield added 12 points. Ole Miss’ Sebastian Saiz scored a game-high 23 points, and Tomasz Gielo posted 16 points. Nashville, TN – All season long the West Division was considered the inferior of the two Ohio Valley Conference Divisions. Four teams from the East, in fact, had 11 or more wins while in the West, co-champs, UT Martin and Murray State, each had “only” 10. But it is the West that is still standing after three OVC tourney days. Two West Division teams will be playing in the tourney championship game 5:00pm, Saturday. 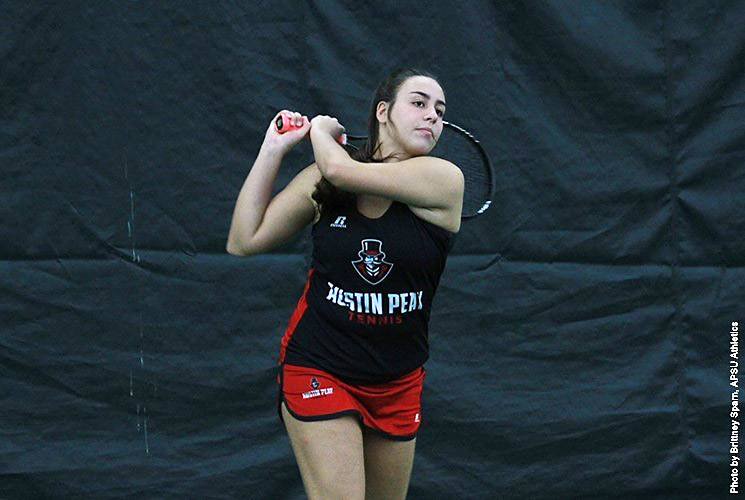 Clarksville, TN – Austin Peay State University women’s tennis team fell in nonconference play against the Western Kentucky Hilltoppers, 7-0, Saturday at the Governors Tennis Center. Nashville, TN – Austin Peay State University men’s basketball team has punched its ticket to the Ohio Valley Conference Tournament finale. 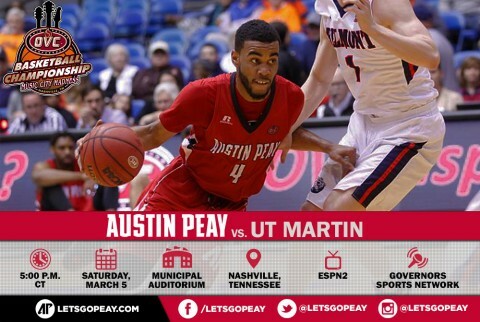 APSU will face the UT Martin Skyhawks in the OVC Championship game.